The latest technology on the block, Li-Fi, uses light to transfer data. While it won’t be replacing the standards we know, it can make incredible changes. For many years, Wi-Fi has been the standard consumers around the world know and love. However, there is also a need to expand into other frequencies. This comes from both practical and business reasons—as well as the need for pure innovation. Who doesn’t love cutting edge technology? Now, light-based communications is possible and the new question is: how will we use it? Some suggest the new technology will take out Wi-Fi entirely. Of course, the most likely result is much more complex and exciting than straight-forward replacement. Li-Fi utilized LED lights to transfer data along the visible light spectrum. In order to understand why that’s important, let’s step back. What is Wi-Fi? Wi-Fi, or Wireless Fidelity, uses electro-magnetic waves at radio frequencies to transmit data by way of a Wi-Fi router. The difference is multifaceted. Most obviously, while Wi-Fi uses radio waves, Li-Fi can utilize light. This is actual ordinary light like you see all the time. It can achieve 224 gigabits per second, and some trials are finding it to be 100x faster than current average Wi-Fi speeds. That binary data can include web, audio, or even video applications. The size of the Li-Fi spectrum is also massive. For example, while Wi-Fi works at 2.4GHz, 4.9GHz and 5GHz frequencies, while Li-Fi covers 10,000 times the frequency spectrum of radio. 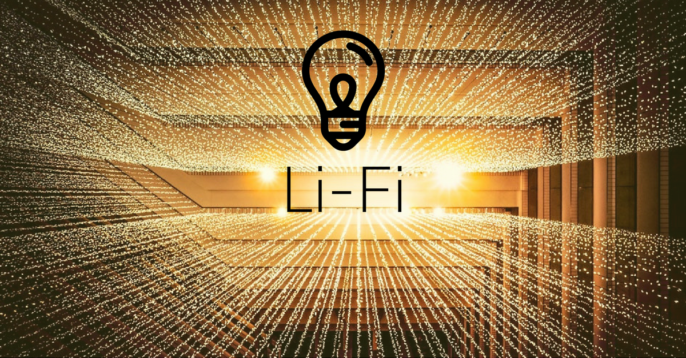 In terms of satisfying the growing need for data communication, Li-Fi is an obvious candidate for game-changer. Li-Fi could be 10 times cheaper than Wi-Fi once deployed. Consider how simple and ubiquitous LED lights are. Now consider all your Wi-Fi routers, cords, and gear. Light can’t penetrate walls. If someone is standing between a device and the light source in a way that completely blocks it, there’s no data transfer. And, as the light must also be turned on to actually transfer any data. * This limits exactly how Li-Fi can be used. It also has a shorter functioning range than Wi-Fi in general. *The light can be turned down to a point that is not visible to the human eye. However, this inability to pass through walls or blockers is also a huge benefit of Li-Fi. Keeping data secure becomes incredibly smart and simple just by confining it to a light stream. Li-Fi, Wi-Fi, and BLE: one size fits all? When speaking with Bosch Softwares’s Stefan Ferber last year, the VP of Engineering, had insights on Bluetooth’s role in the IoT as a whole. As he explained, there is no one single solution for every use case. In the case of Wi-Fi, it seems Li-Fi will really be in any position to “replace” the technology due its drawbacks. Of course, it can lighten the load of crowded frequencies and act as one of the new communication methods that will move the modern world (with its quintillions of monthly byte transfers) to a place with more options. Bluetooth beacons and tags are able to do something neither Wi-Fi nor Li-Fi can do: automatically send data in a space with extreme energy efficiency. While Li-Fi could certainly see use cases similar to beacons, the two technologies are still very different simply due to the nature of light. Want your customers to get messages when they approach certain parts of your store? Want to send them loyalty information or even track their movements? Unless your customer takes their phone out under your Li-Fi lights, you’ll be in a pickle. Bluetooth can send that information even when the phone isn’t out and it can also track in the background. Don’t forget, Li-Fi requires these lights to be on at all times, making long-term infrastructure planning a little bit more complicated. Similarly, indoor navigation and other popular beacon use cases could work with Li-Fi given the appropriate optical filters. However, beacons and tags simply don’t require this extra step. As a result, Li-Fi, even when it catches on, probably won’t steal much thunder from Bluetooth. Li-Fi was only introduced in the past few years. It gained quick notoriety when the founder Harald Haas of the University of Edinburgh gave a TEDtalk. (It’s a great talk. Find it here). Chances are, Li-Fi will fill in gaps that Wi-Fi and Bluetooth can’t—for use in airplanes or for extra security. As both Wi-Fi and Bluetooth are continuing to develop (Bluetooth 5 and Mesh only coming out in 2017), looking too far into the future of Li-Fi and the IoT is a bit mysterious. In the meanwhile, it’s easy to get excited about the latest communication method Li-Fi and what we can do with it.